Construction on the new stadium is slated to begin fall 2019. 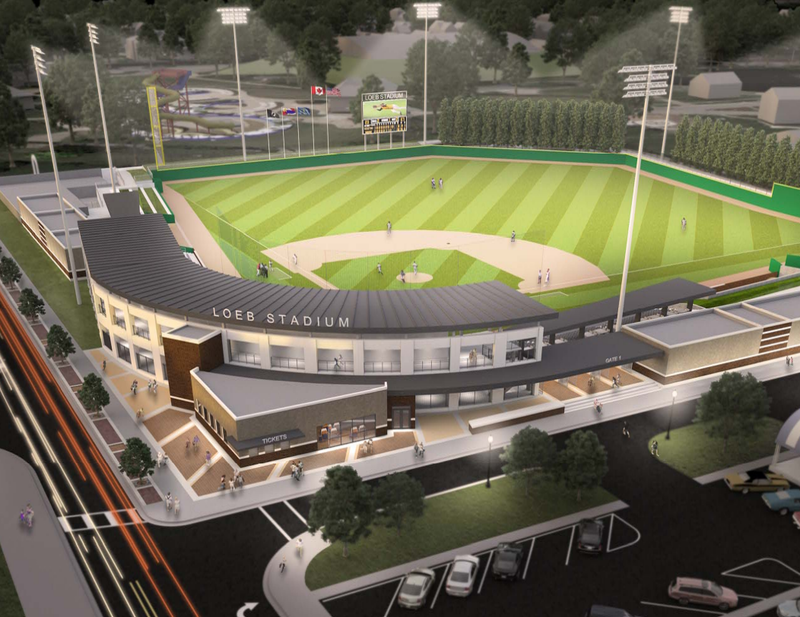 The city of Lafayette expects to break ground on a new baseball stadium in 2019 – the same year the city had originally planned to complete the project. Loeb Stadium, home to the Lafayette Aviators, is set to be completely redone – including rotating the field so a main entrance faces Main Street, and spectators won’t be looking into the sun. American Structurepoint senior architect Dan McCloskey says the field will also be sunk about six feet. “Basically, you start from the field, you work up through the rows of seating, and then, at the back of the seats will be the open concourse where people circulate into amenities – the concessions, restrooms, guest relations. That kind of stacks up in a vertical sense,” he says. He says sinking the field will also improve its drainage system, which will prevent excess water from collecting on its surface. Other features such as additional handicap access, new locker rooms and a field that’s also equipped to hold soccer games and concerts are in the plans. The field will be rotated to have a northeast orientation, and will be outfitted with turf and a portable pitching mound – to be removed when the field is used for soccer. Lafayette Parks and Rec Superintendent Claudine Laufman says the rotation of the stadium is designed to make it more noticeable and hopefully draw in more people. The new stadium will be funded by the city’s Economic Development Income Tax. The discussion about how to replace Lafayette’s Loeb Stadium began in earnest this week with a debate between citizens over prospective design plans. The City of Lafayette has partnered with design firm American Structurepoint and wants to have the replacement space finished by 2019. One big topic of debate at a Tuesday night forum at Lafayette’s Jefferson High School was the possibility of turning the new stadium around to face a different direction. Officials with MKE Sports, the company that owns the Lafayette Aviators baseball team, won’t say whether the team made a profit in its first year, but insist the team earned about what was expected. “To be honest, you know, a lot of baseball isn’t about making a fortune or making a ton of money,” says MKE Director of Operations Dan Kuenzi. 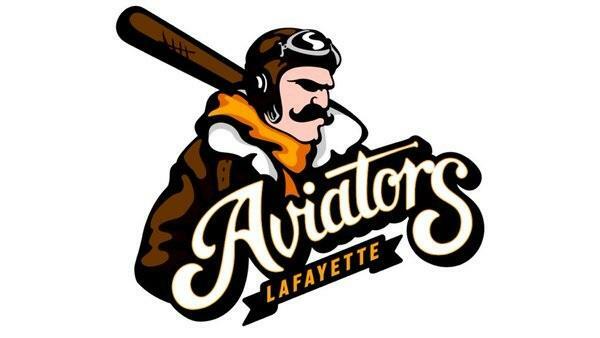 When the inaugural season of Lafayette’s Prospect League baseball franchise takes off June 1, players and fans will be sporting the graphic image of an aviator. Team owner Mike Zimmerman says fans propelled the pilot to the top during a week-long social media campaign that also included images of an airplane and an aircraft engine. The logo unveiling on Thursday followed last week’s announcement that fans voted to name the team the Aviators, a nod to Purdue University’s role in aviation history, as well as modern-day aircraft equipment manufacturers Alcoa and GE Aviation. Lafayette’s forthcoming Prospect League Baseball Team finally has an official name. In a hat-tip to Purdue University’s tradition of flight, the wooden-bat team has been officially dubbed the Lafayette Aviators.